A name-blind recruitment project could help improve Senate staff diversity, but only if done properly, according to the head of a Senate group studying employment equity in the Upper Chamber’s administration. The recommendation was one of 10 made by the subcommittee chaired by Liberal Senator Mobina Jaffer (British Columbia) following a study of a 2016 report on diversity among the 354 members of the Senate administrative staff—authored by high-ranking officials in the Senate bureaucracy—and diversity in the Senate workforce more generally, including in Senators’ offices. The subcommittee—which also includes Conservative Senator Elizabeth Marshall (Newfoundland and Labrador) and Independent Senator Raymonde Saint-Germain (De la Vallière, Que. )—was struck in late 2016and began its study the following spring, holding five meetings between March 1, 2017 and May 8, 2018. But there should be major improvements to the name-blind recruitment project tried out in the federal public service before it gets used in the Senate, said Sen. Jaffer, who told The Hill Times she first wants Senate staff to study where the public service pilot project went wrong. Run between April and October 2017, the goal of the name-blind recruitment pilot run by the Public Service Commission and Treasury Board Secretariat was to “determine whether concealing personal information…which could lead to the identification of a candidate’s origin from job applications, had an impact on the screening decisions made by reviewers when compared to the traditional assessment method where all personal information was presented.” The idea was to see if a hiring manager is biased by the name they see on the resume, or other such personal information about the potential new recruit. 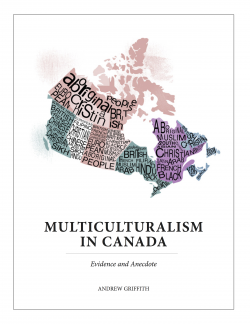 The analysis, limited to those who self-declared as visible minorities, ultimately concluded that there was “no net benefit or disadvantage with the NBR assessment method for visible minorities,” though there were some problems identified with the method itself. During a March 20 appearance by Treasury Board President Scott Brison (Kings-Hants, N.S.) at the Senate’s Question Period, Independent Senator Ratna Omidvar (Ontario) raised the methodology issues with him. “First, the hiring managers who were recruited for this project volunteered. I would suggest that creates a certain lack of purity, if I can use that word. The second is that the hiring managers made their decisions knowing that their decisions and the comparative results would be subject to review,” she said. Sen. Jaffer said Mr. Brison’s response was disappointing. “So to say there is no bias, he was happy to see there is no bias, that’s stretching it. There is,” she said, pointing to her years as chair of the Senate’s Human Rights Committee where she used to hear about people not wanting to voluntarily self-identify as belonging to a minority or marginalized group because they didn’t want to be seen as different. Sen. Jaffer is the first South Asian woman to be appointed to the Senate and, among other incidents, said she has been stopped from using entrances to Parliamentary Precinct buildings, even while wearing her Senate pin showing that she is a Senator. And if these things can happen to her, as a Senator, she said it worries her what those lower in the pecking order experience. Despite it not being in her nature to rock the boat, she said it’s important that she speak out and do things to make changes, drawing on experiences dating back to being the first South Asian woman to practise law in Canada. Sen. Jaffer said the Senate administration has been putting in a genuine effort to improve the diversity of its staff over the years. Back in 2005, then-Conservative Senator Donald Oliver called the Senate out for “glaring” and “problematic” systemic racism after a report foundthat there had been no visible minorities appointed to senior and middle management positions between 2000 and 2004 and that visible minorities made up only 6.8 per cent of the Senate’s 425 employees. Throughout years of upheaval and change in the Senate, it’s remained an administrative priority to act on recommendations Senators have made in response to subsequent diversity reports, Sen. Jaffer said. According to the fifth report of the Senate’s Advisory Committee on Diversity and Accessibility, as of March 31, 2016, among the Senate’s 354 employees (which doesn’t include staff in Senators’ individual offices) there were 54 people who identify as visible minorities (15.3 per cent), 20 people with disabilities (5.6 per cent), 12 Aboriginal people (3.4 per cent), and 209 women (59 per cent). “We had the auditors here, we had huge changeover, we had independent Senators—those all cause issues for the staff, the administration. Even then they were loyal in implementing, so I have lots of gratitude for that,” she said. In the House of Commons, as of June 2017, 48 per cent of the House administration’s 2,234 employees were women, two per cent were Aboriginal persons, 10 per cent were visible minorities, and four per cent were people with disabilities. The most recent report on employment equity in the core public service, covering the 2016-17 fiscal year, said that of the 181,674 employees tallied in March 2016, 54.4 per cent were women (compared to an estimated workforce availability of 52.5 per cent), 5.2 per cent were Aboriginal persons (against an estimated workforce availability of 3.4 per cent), 5.6 per cent were people with disabilities (compared to 4.4 per cent workforce availability), and 14.5 per cent were visible minorities (compared to 13 per cent). But more work needs to be done, especially in encouraging and emphasizing the hiring of Aboriginal Canadians and veterans, the Senate subcommittee said. It recommended that the Senate create an Aboriginal Young Interns program, expand its efforts to recruit staff from outside of the National Capital Region, and explore ways to target veterans in its recruitment efforts. As of March 31, 2016, there were no Aboriginal people in the Senate’s manager occupational category and their representation in the professionals occupational category was below their national workforce availability. The Senate, and all of the country’s institutions, need to reflect Canada, Sen. Jaffer said, or risk becoming irrelevant, and hitting the benchmark of workforce availability—the estimated availability in designated groups as a percentage of the entire workforce population—is not good enough. The Senate administration has until June 13, 2019 to report back to the Senate Internal Economy Committee on steps it has taken to put in place the subcommittee’s recommendations.